It has been an incredibly interesting, exciting and rewarding experience! They say that time flies when you are working hard and having fun – and I totally agree. 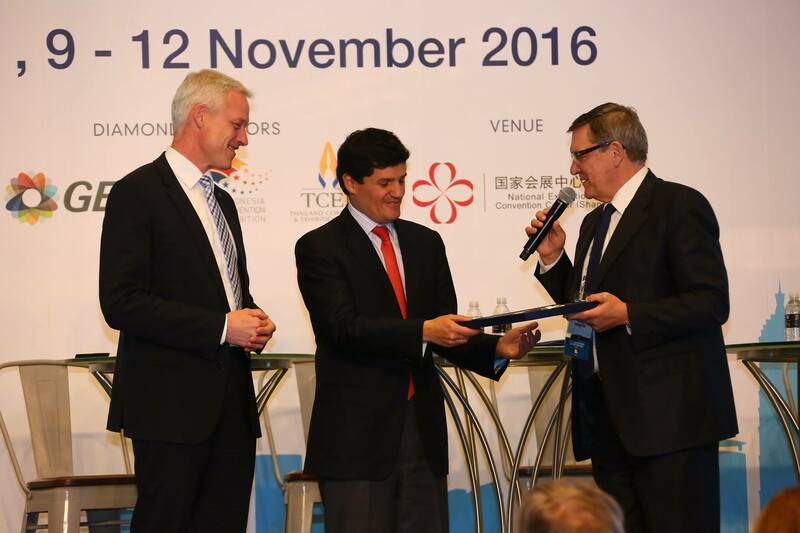 Almost a year has passed since I was handed the President’s gavel in Shanghai at the 83th UFI Global Congress. It has been an incredibly interesting, exciting and rewarding experience and one of the shortest years in my life. These last words of welcome in my presidency provides the opportunity to review the progress we’ve made together during my mandate, to look back briefly, but primarily to look forward. Many initiatives were started, UFI programmes were smoothly implemented and new formats were created. 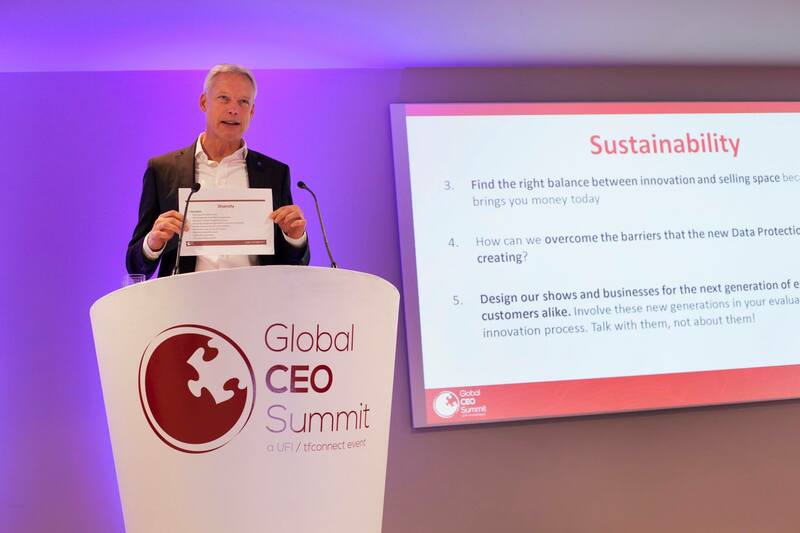 It is too much to list everything, but to further develop the UFI strategy and to help set the vision for our industry has always been at the centre of my thoughts and actions. From the very beginning when Kai Hattendorf took over as UFI’s General Director and started working on the future strategy, I became deeply involved. Kai and I had several intense discussions about our experiences and our views of the world of exhibitions and events. And we shared them with the Executive Committee and individual members as often as possible. I really thank all of you who actively participated in our discussions and contributed to this process! What should be the role of UFI with respect to the needs of our industry, its stakeholders and UFI members? What are our main challenges? How can new parameters and techniques lead to new opportunities and not appear as risks? It has been a great pleasure for me to work with Kai on those questions which are incorporated in the new UFI strategy, to advance the goals of our profession and the UFI organisation. North America: We strengthened our co-operation with SISO in the U.S. and felt a good consensus when we met at the SISO meeting in Miami, many UFI members joined as well. South America: Since Andrés (Lopéz Valderama, from Colombia) became a member of the UFI Trio and President we have been able to more than double the number of UFI members on this continent. Within the Executive Committee, we are looking into the best ways to serve our members directly in the region as this growth continues. One decision we have already made is to hold UFI’s first ever Regional Conference for Latin America on 19 September 2018. 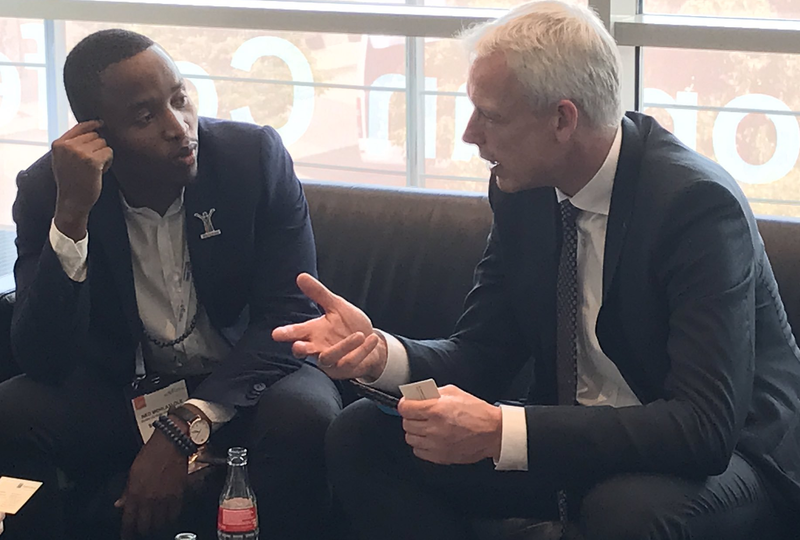 Europe: I had the honour to represent UFI in a meeting with the mayor of Barcelona at the GCS and to meet our industry leaders. And I met so many „new faces“ who participated at the European Congress in Cologne. 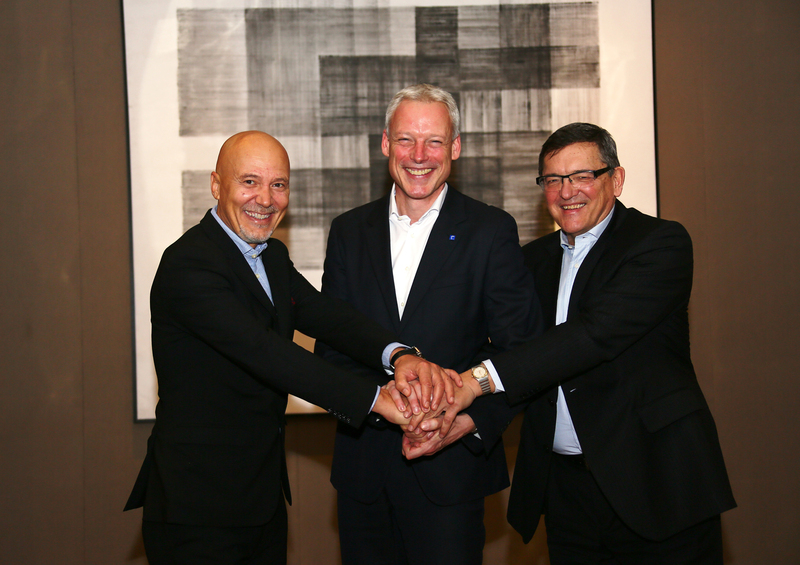 Just a few weeks ago, I had the chance to welcome the Executive Committee in Hannover. 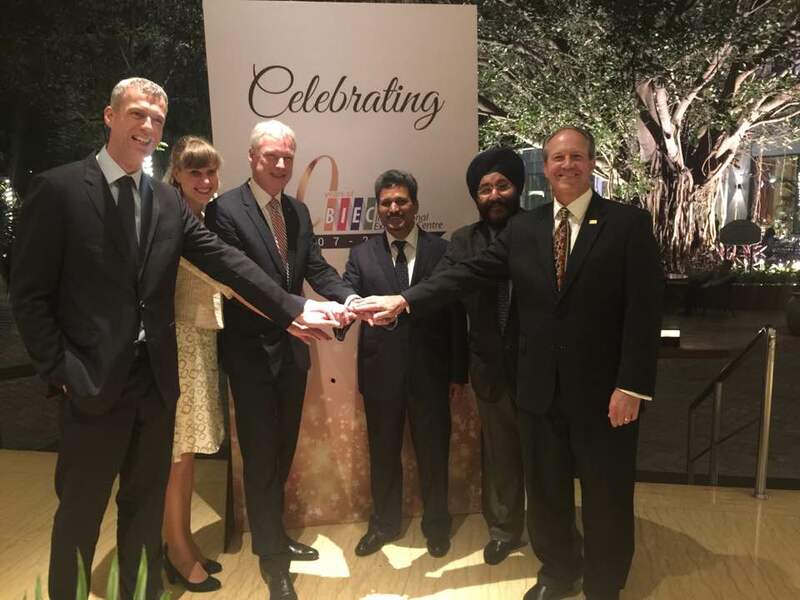 Asia: My calendar reflected the importance of this region, starting with our last UFI Global Congress in Shanghai, CEFCO in Macao, TCEB in Bangkok as well as BIEC’s 10th anniversary in Bangalore. (Both are valued and long-term sponsors of UFI – thank you.) We are on our way to open a UFI presence for China in Shanghai. Keeping the rapid growth of new venues in mind, we introduced a Venue Management School as well as an International Summer University. Australia: We have begun establishing closer ties with our Australian members and the industry in the region. Africa: We all look forward to our 84th UFI Global Congress in Johannesburg next month to learn about the unique character and opportunities in Africa. 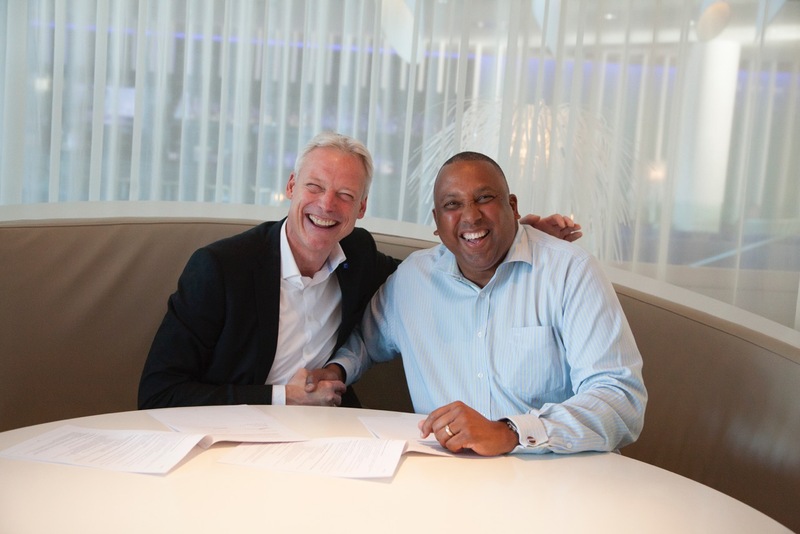 I am confident that we will keep this momentum with Craig Newman from South Africa as the next Incoming President. This should also boost the MEA chapter as a whole. Digitisation?! We worked very hard to better align the agenda, formats and focus of our UFI events to our members’ needs. New digital technology and rapidly changing customer behaviour and communication has become a hot topic. New Talents?! For me, one of the highlights of my term was the opportunity to chair the jury for the selection of the “Next Generation Leaders” (many thanks to the inventors and sponsors). So many unique and talented personalities with great ideas and passion from all continents! We all need the young generations to be passionate about exhibitions and we need their innovative ideas for new formats, events and techniques. 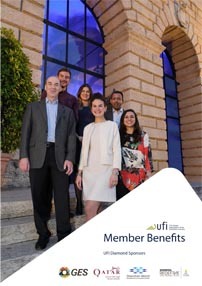 New programmes, new services, new members … I have the support of an excellent and dedicated UFI team, led by Kai Hattendorf, in Paris, Hong Kong and in Sharjah to develop and work on these elements on your behalf – thanks to all of you! Moreover I would like to thank the Trio: Sergey Alexeev, for his support as Outgoing President and in particular, for Global Exhibitions Day and Corrado Peraboni as the Incoming President. What an honour these last twelve months have been for me. How I treasure the many new and stronger friendships and my list of „unforgettable moments“. I hope to give back to UFI as I continue to serve UFI were I can. I look forward to seeing many of you in Johannesburg next month to enjoy a high quality programme as well as experience the cultural excitement which only Africa can create. Thank you Andreas and all the best for the future! Best regards from IFES and Bruno Meissner, IFES Past-President.